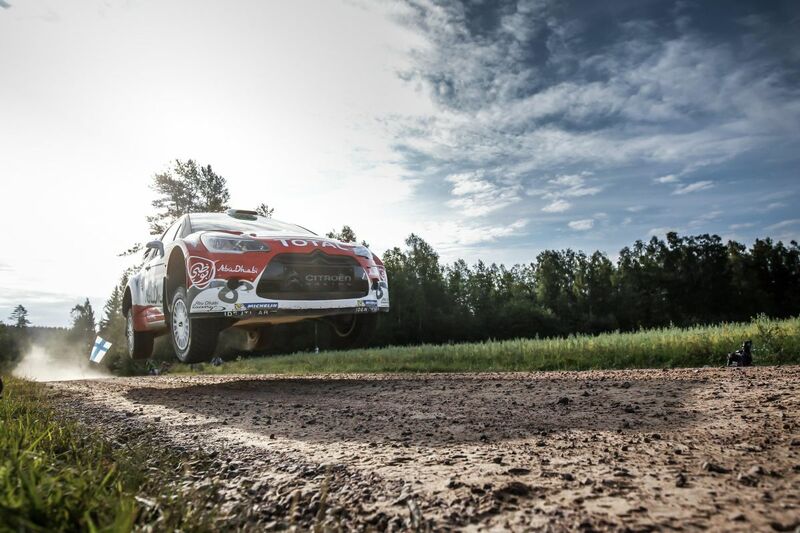 Kris Meeke collected a momentous victory on the Neste Rally Finland today, after dominating the prestigious event from start to finish. 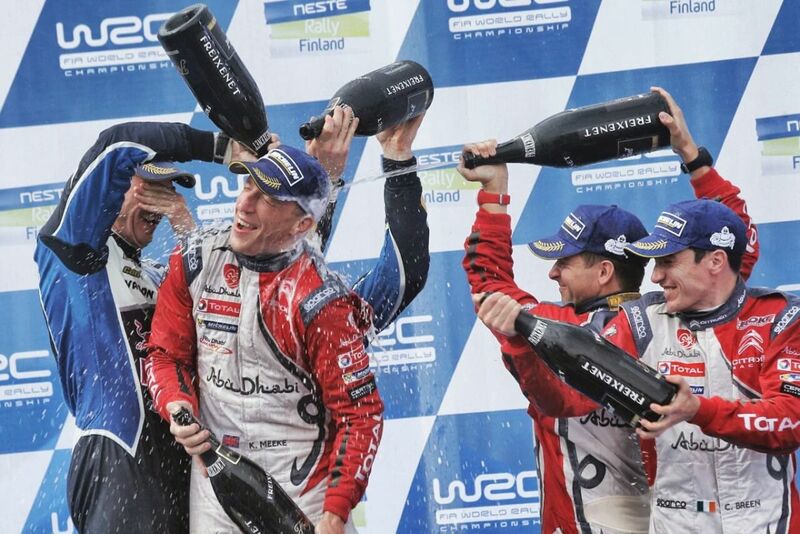 The win means that the Abu Dhabi Racing driver joins an elite group of only six non-Scandinavians to triumph on the fast, demanding roads, surrounding the university city of Jyväskylä. The event served up the usual helping of high drama and spectacular incidents. Reigning World Champion, Sebastian Ogier saw any hope of a win evaporate on day 1, losing 16 minutes when his Volkswagen Polo WRC became trapped in a ditch. 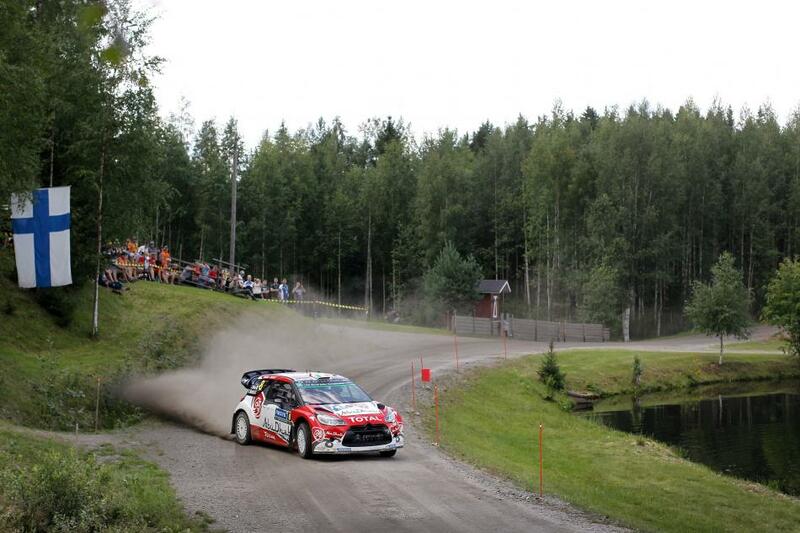 Ott Tanak had looked like an early contender for victory, until a stage 5 spin sent him tumbling down the time sheets. Meeke on the other hand, showed no signs of rustiness, despite not having turned wheel competitively since wining in Portugal. 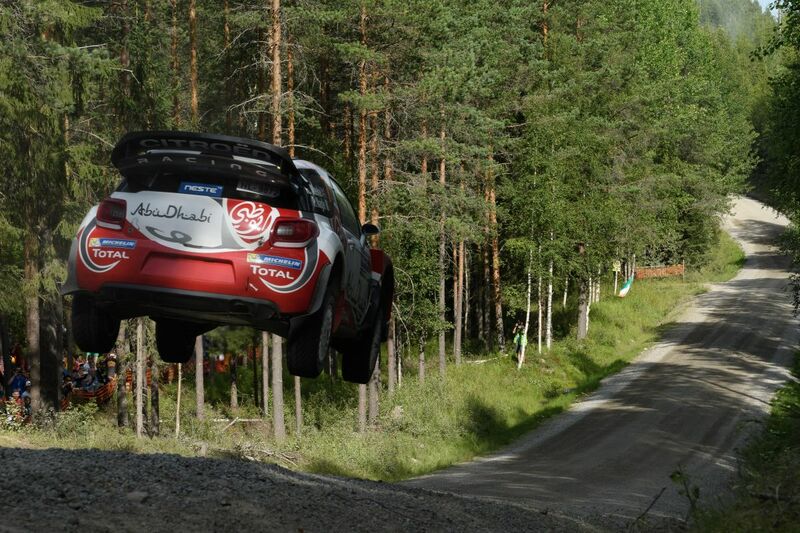 He clocked up eight fastest times across the event in his Citroen DS3 WRC, including two awe-inspiring passes through the legendary 33km roller-coaster Ouninpohja stage. On the first run, he blitzed local hero, Jari-Matti Latvala by over 13 seconds; on the second pass, Meeke eclipsed his previous time, setting a pace that left the entire field trailing in his wake. “I got up an hour early today to watch the video of my recce on Ouninpohja. I think it’s the greatest stage in the world, and the most iconic as well. So I was really determined to do something special on it! Going into the final day, Meeke had built a comfortable lead, which put him 41 seconds clear of his closest rival, Latvala. With just 34 kms separating Meeke from a third career victory, he adopted a conservative approach. The closing loop was completed in cool and calculated fashion, sparking huge celebrations at the stop line of the final stage. Craig Breen also made history by collecting his first podium in the World Rally Championship after a highly impressive and controlled drive. Breen moved into third position mid-way through the event and had to fend off a tight challenge from the recovering Ott Tanak and the Hyundai of Thierry Neuville. On the opening stage of the third leg, Tanak reduced Breen’s lead down to a mere 5.8 seconds. However, on the next test, the Estonian blew any chance he had of catching the young Irishman when he went off the road and lodged his Ford Fiesta WRC in a ditch. Only 10.85km stood between the Waterford driver and a prized third place. If Breen was nervous, it didn’t show. He attacked the stage and completed fifth fastest, which was more than enough to seal the position. Breen was clearly overcome by the achievement. Thierry Neuville took maximum points from a fiercely contested power stage, whilst former Circuit of Ireland winner, Esappeka Lappi took the honours in WRC2.